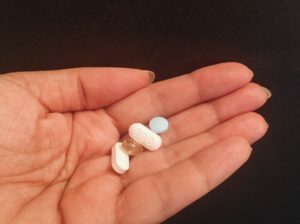 If you take medication to treat high blood pressure, it’s very likely those medications have the unintended side-effect of depleting essential vitamins and nutrients. 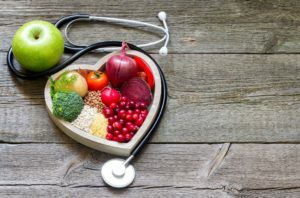 This page outlines nutrients observed to be depleted by commonly prescribed high blood pressure medications, and solutions that restore those nutrients. Blood pressure refers to the amount of force of blood against the arteries as it flows through the heart. High blood pressure, or hypertension, is a very common disorder in which the blood force against a person’s artery walls is too high. 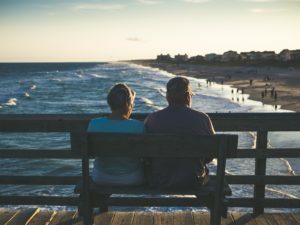 In fact, it’s so common that the American Heart Association estimates that 1 in 3 Americans over the age of 20 has hypertension — and ⅔ of people above age 65 — totaling roughly 85 million people in the United States alone. Hypertension is often referred to as the “silent killer”. Many times, a person with high blood pressure will not experience overt symptoms signalling they are suffering from the disease; and the only way you’ll know about your hypertension is by taking your blood pressure. It’s important to monitor your blood pressure. If left untreated, over time high blood pressure can lead to heart disease, vision loss, kidney disease, stroke, among other serious health complications. 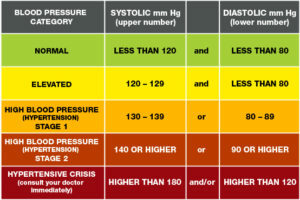 As a rule of thumb, a person is considered to have hypertension when their blood pressure reaches 130/80, and that hypertension is considered to be severe when the blood pressure goes above 180/120. In order to uncover the causes of high blood pressure, we need to step back and examine how the heart functions and its role in the human body. The heart is a muscle responsible for pumping blood around our bodies. Our heart attempts to pump blood where it’s needed most. When our blood is low in oxygen, the heart pumps blood to the lungs, in order to replenish oxygen supplies. 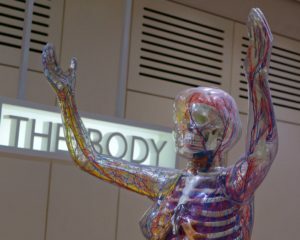 From there, blood rich in oxygen is then pumped by the heart to muscles and cells around our bodies. As blood is pumped throughout the body, it creates pressure. 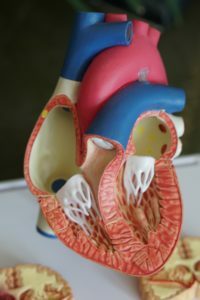 When the walls of a person’s arteries continually receive too much pressure, the person is considered to have hypertension, or high blood pressure. We classify high blood pressure into two different kinds: one with a known cause, the other seemingly without cause. The first type of high blood pressure is referred to as “Essential High Blood Pressure”, and has no known cause. The second class of hypertension is called “Secondary High Blood Pressure” — and secondary high blood pressure does have a root cause. Age is one such risk factor: the older we get, the more likely we are to develop hypertension. Genetics may also increase our risk of developing hypertension: if a person in our family suffers from high blood pressure, we’re more at risk of developing it at some point in our lives. Weight is another such risk factor. People who are overweight or obese are more likely to develop hypertension compared with people whose weight is normal for their age and height. Related, a lack of physical activity puts us at a greater risk of hypertension. Smoking is a definite risk factor for hypertension. 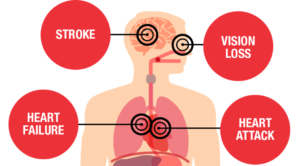 Smoking leads to the narrowing of our blood vessels, and the result is increase pressure. Furthermore, Smoking lowers blood oxygen levels, forcing our hearts to pump faster in order to make up for it, leading to hypertension. high blood pressure is lower. Eating the wrong kinds of fats can increase one’s risk of developing hypertension. Fat is an essential part of our diets, so it’s not necessarily fat itself that puts us at risk, but the kind of fats we’re consuming. 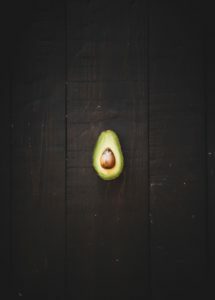 Good fats come from foods like avocados, nuts, olive oil, and omega oils. Bad fats come from red meats and processed or saturated fats. If your high blood pressure is less severe, and your changeable risk factors are high, your doctor might first recommend lifestyle changes as a first line of attack against hypertension. 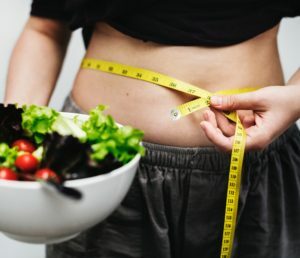 For example, your doctor might recommend a lower sodium diet, more physical activity, and for your to quit smoking to assess whether those changes are sufficient to lower your blood pressure before it becomes a more severe problem. 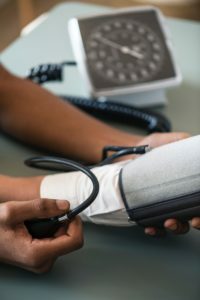 However, if the likelihood of you developing moderate to severe high blood pressure is assessed to be high enough, your doctor might prescribe medications. Thiazide diuretics, also referred to as water pills, are often the first option in prescription treatment of high blood pressure. This class of medication acts on the kidneys to help your body eliminate sodium and water. As we mention, salt is a risk factor for hypertension, and diuretics help the body eliminate sodium, reducing blood volume and along with it, higher than normal blood pressure. Thiazide diuretics include chlorthalidone, hydrochlorothiazide (Microzide), among others. In particular, diuretics or calcium channel blockers have been shown to work better for people of African heritage and older people, compared to angiotensin-converting enzyme (ACE) inhibitors alone. 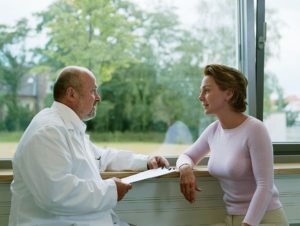 If you’re taking diuretics, you may find a common side effect is increased urination. Angiotensin-converting enzyme (ACE) inhibitors, like lisinopril (Zestril), benazepril (Lotensin), captopril (Capoten) and more, assist blood vessels in relaxing and prevent narrowing of the blood vessels by blocking the creation of a natural chemical shown to cause blood vessel narrowing. Oftentimes, ACE inhibitors are prescribed to people who suffer from chronic kidney disease along with high blood pressure. Angiotensin II receptor blockers (ARBs), work similarly in the body, but rather than preventing the formation of chemicals that narrow blood vessels, they block the action of these chemicals. ARBs include candesartan (Atacand), losartan (Cozaar), among others. Oftentimes, ARBs are prescribed to people with high blood pressure who also suffer from chronic kidney disease. Calcium channel blockers, such as amlodipine (Norvasc), diltiazem (Cardizem, Tiazac,etc. ), among others, work differently by causing the muscles of the blood vessels to relax, and may also slow one’s heart rate. Oftentimes, older people and people of African descent may find that calcium channel blockers work better than ACE inhibitors alone. If you’re taking calcium channel blockers, it’s important to be mindful of what you eat and drink. In particular, grapefruit juice can interact with certain calcium channel blockers, resulting in increased blood levels of the medication and placing you at higher risk of additional side effects. Alpha blockers, such as doxazosin (Cardura), prazosin (Minipress), are a class of medication that limit nerve impulses to blood vessels, minimizing the impact of naturally occurring chemicals that lead to blood vessel narrowing. Alpha-beta blockers, like carvedilol (Coreg) and labetalol (Trandate), reduce nerve impulses to blood vessels, and also slow a person’s heartbeat, thereby reducing the amount of blood that needs to be pumped through the vessels. While not typically prescribed as the only medication to treat hypertension, beta blockers like acebutolol (Sectral), atenolol (Tenormin), have been shown to be effective when used in combination with other blood pressure meds. Beta blockers work by reducing the workload on your heart, opening blood vessels, causing a slower heartbeat and therefore less force. If lifestyle changes are not successful in lowering your blood pressure, medications may be necessary. 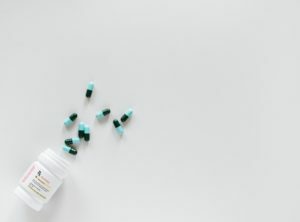 As you work with your doctor to find the right type, dosage, or combination of medications most effective for treating your hypertension, be mindful that these medications may also have the unwanted effect of depleting your body of vital vitamins and minerals. Thiazide diuretics, or water pills, flush the body and can thereby rid the body of certain essential nutrients. In particular, diuretics have been shown to deplete calcium, magnesium, and potassium. In order to maintain strong and healthy bones, weakness, tiredness, muscle cramps, constipation — among other side effects, you may want to supplement your diet and medication regimen with these nutrients. Angiotensin-converting enzyme (ACE) inhibitors have been shown to deplete zinc and sodium. Depletion of zinc can result in slower wound healing, along with the loss of a sense of smell, and a weaker immune system. Being overly deficient in sodium can lead to dehydration and loss of appetite — but it’s not recommended that you increase sodium intake, as this is part of the therapeutic effect of the drug intended to lower your blood pressure. Angiotensin II receptor blockers, or ARBs, have been shown to decrease zinc, magnesium, and Zinc — which can cause unwanted side effects like sore muscles and low energy. Calcium channel blockers lower cardiac output and dilate blood vessels, but there are no proven nutrients depleted by this particular class of medication. Beta blockers decrease the production of adrenalin and can lead to deficiencies in ATP as they impede in the biological pathway of CoQ10. Beta blockers can also decrease the production of melatonin, a natural chemical in the body that is crucial for sleep. Many of the negative side effects caused by hypertension drug-induced nutrient depletion can be eliminated or decreased by making sure your body is balanced with respect to essential vitamins and nutrients. If you or a loved one suffers from hypertension, as millions of Americans do, it’s crucial to assess the medications you’re taking and how they may be impacting your body in unexpected ways. Then it’s important to do something about it before the problems result affect your ability to live a fulfilled life. Consider which nutrients need supplementing, and the most effective and efficient way to deliver those nutrients and ensure they’re absorbed well by the body. 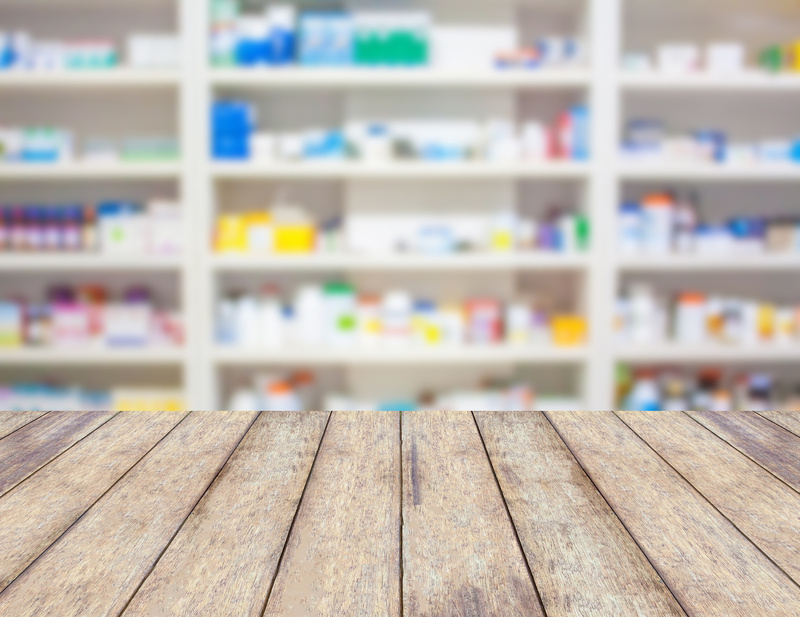 At Davis Islands Pharmacy, we aren’t just satisfied providing you with your prescriptions to help lower your blood pressure. 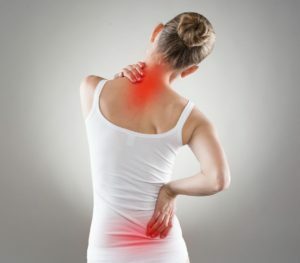 We stock and recommend only the highest quality, most effective products for the unique needs of our unique patients. We consider the question, “Why supplement your diet with a million individual pills for each nutrient your medication may be depleting?” We believe in a brand of products by SolutionsRx that rolls it all into one. Why SolutionsRx to Restore Nutrients Lost by High Blood Pressure Medications? 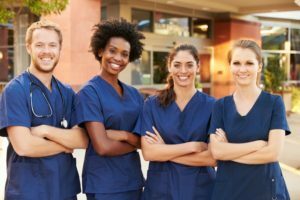 Solutions Rx products are developed and created by a team of local pharmacists and health care providers with a track record of optimizing overall health. The High Blood Pressure Rx Support product was formulated by using various clinical studies, books, side effect profiles, disease states, and real patient experiences and is comprised of a variety of ingredients that replenish and restore the nutrients depleted by high blood pressure medication. The product contains a wide array of vitamins including thiamin, riboflavin, niacin, and lipase — just to name a few. Additionally, the product is high in Vitamin B, and contains your daily recommended dose. Vitamin B deficiencies can cause to a wide variety of medical problems, including low energy, depression, edema or swelling, irritability, memory loss, muscle weakness, among other side effects. By taking 1 tablet in the morning and 1 tablet before bedtime, many patients report significant improvements to their overall health, in addition to the elimination of the painful and annoying side effects caused by high blood pressure medication. 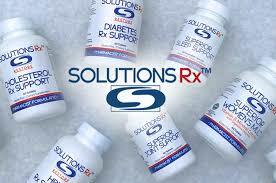 SolutionsRx HBP Support tablets are gluten free, easy-to-swallow, and pH sensitive. As always, consult with your physician and pharmacist before supplementing your diet and medication regimen with any supplements. Or stop by the pharmacy to learn more about nutrient depletion and ask if Solutions Rx High Blood Pressure Support may be right for you.